If you missed our recent live webinars, don’t worry! Prospective students and current students exploring academic majors can still discover their pathway through our undergraduate programs by viewing the recordings below. Our Coordinators of Advising, Recruitment, and Retention are on stand-by to answer any questions you may have about these programs. 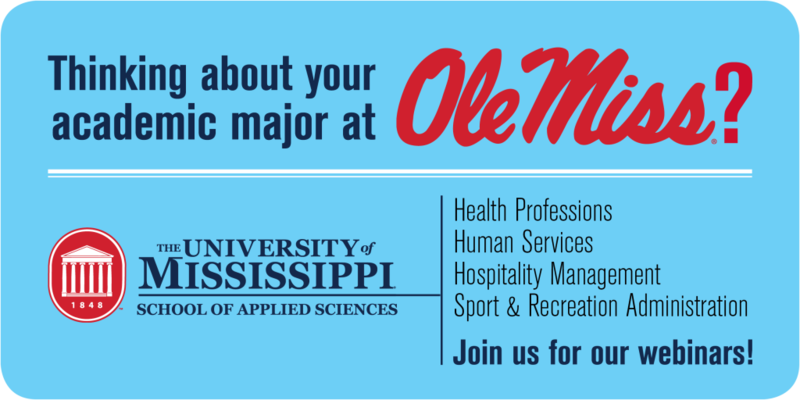 E-mail applsci@olemiss.edu, and we will route your questions to the appropriate Coordinator.